This is a very different novel to Jamaica Inn and Rebecca. It does not have the same mounting tension and terrifying characters. What it does have, however, is a superb opening. Daphne du Maurier certainly knows how to start a book and the beginning of Frenchman’s Creek is particularly atmospheric. Navron House in Cornwall, where tourists can take tea, is so unlike what it used to be, when a women lived there one summer, many years ago. However, the surrounding landscape is as enchanting as ever with the thick trees, the glittering river and a secretive creek, hidden from view. If you listen carefully, you can hear echoes of that hot summer long ago and whispers of a woman and her lover. If you should find yourself drifting on the waters of Frenchman’s Creek, you may see the ghost of a ship and hear the flutter of sails. And if you close your eyes, you might be taken back to a different time to relive the love story of a pirate and the Lady Dona. After the very promising first chapter, we are thrown into the story of the lady Dona who has hurtled down the country with her children, to escape her meaningless life in London. Leaving her husband behind, she finds peace, freedom and happiness at their Cornish home, Navron House. She feels safe and at one with the scenery around her. She even feels at ease with the odd servant, William, with his strange smile and familiar conversation. It is not long until a visitor, the pompous Lord Godolphin, breaks the tranquillity of her days, bringing warnings of French pirates roaming the coast, thieving and causing distress across Cornwall. Dona does not find this information worrying, and makes light of his concern. But when she is walking one day and sees the sails of a ship, and hears odd bird calls and whistles in the middle of the night outside her house, she starts to think she might not be the only one making use of the quiet and serenity of the area. Dona feels deep inside herself, that something is going to happen. She is not sure what, but when she first sees the sails of that ship, she knows in her heart that her life will change. And so it does when she one day stumbles upon ‘La Mouette’ and her crew, in the charming creek. She is taken on board to the captain, and instead of the dreaded, vicious pirate she had expected, she is introduced to a calm and friendly Frenchman, sketching a bird. From that moment, she becomes the Dona she was meant to be – not a lady sitting in London, flirting with her husband’s friends, but a passionate and free woman. The storyline is a little too romantic for my liking, which is so very different from what I have come to expect from du Maurier. I did enjoy the book, but at times, I felt that I was a nosy bystander who had accidentally slipped into somebody else’s fantasy about running away with a handsome pirate and having crazy adventures, dressed as a cabin boy. 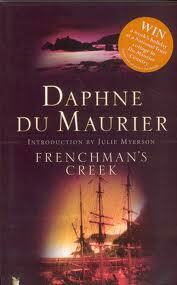 I found the characters wooden and unoriginal compared to other du Maurier characters. Dona is fun and enjoyable to read about and although she is brave, it is from boredom rather than necessity. She lacks the depth that characters such as Mary Yellan from Jamaica Inn and the unnamed narrator from Rebecca have. Her passion for her new lover, the French pirate, is understandable, but his character is a bit too perfect and uninteresting. There is none of the wildness and mysteriousness of the other men in du Maurier’s novels. To conclude, this romantic tale about some very polite French pirates is enjoyable and worth a read, but not before you have read some more of du Maurier’s work, to see what she can really do.